Africa. In the wild expanses , where bushbucks, impalas, zebras, gnus and other creatures graze by the thousands, they are on holiday. 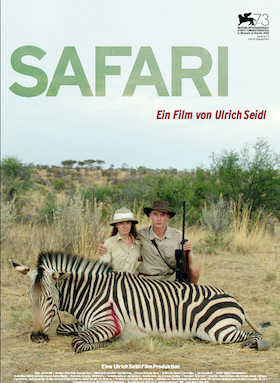 German and Austrian hunting tourists drive through the bush, lie in wait, stalk their prey. They shoot, sob with excitement and pose before the animals they have bagged. A vacation movie about killing, a movie about human nature.